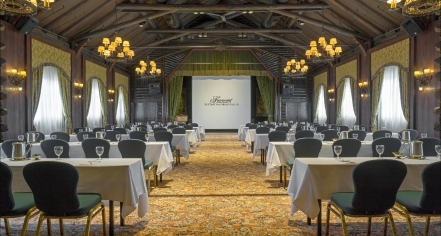 As one of Canada’s leading conference spaces, Fairmont Le Château Montebello is the premier group meeting location in Quebec. 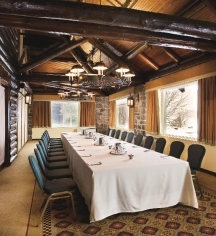 The comfort and warmth of this countryside log cabin is unparalleled and is easy to access, as the resort sits halfway between both Ottawa and Montreal. In 2017, the Fairmont Le Château Montebello was honored with a Stella Award for quality and innovation in the meetings industry. Meetings and conferences taking place in the hotel's more than 17,000 square feet of event space will be complemented by state-of-the-art technology, an outstanding events team, and in-house audiovisual services. In addition to world-class facilities, guests and attendees will find plenty to do on this more than 300-acre estate during their downtime.